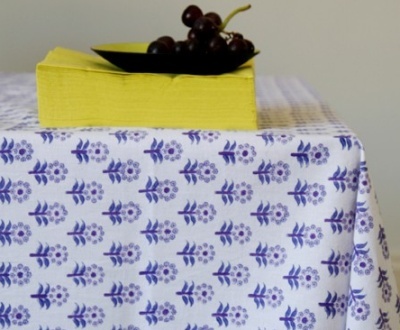 This tablecloth by Bungalow will dress your table for both a casual lunch with family or dinner with good friends. Bungalow tablelinen has been designed in Denmark and then block printed by craftsman in India. This tablecloth is 100% cotton.